Plagueis Consul Report #4: We're Going (Pro) Bowling! Arden drew some small pleasure in Tren Coltar’s perplexed look, but all it elicited was a slight smirk from the Dread Lord. The Ettian kept a firm, but level, tone, and he didn’t raise his voice in the slightest. Arden gestured, and the door opened to reveal his personal security unit, KX-444. The hulking droid ushered the Corellian out just as Ronovi entered. The Wrath glanced at Coltar as he sidled by her and then looked over to Arden. Plagueis (and friends) Pro Bowl 3!!!!!!! As was first teased in my last report and announced on the latest episode of the PlagCast , we have another installment in the always popular Pro Bowl series coming up very soon. We’ll have another post in a couple of days with the full details, but here’s some of the highlights. Pro Bowl 3 will feature not only Clan Plagueis, but also our friends in Clans Taldryan and Scholae Palatine as well. This event will run for three weeks with a sort of “preview week” which starts this coming Friday, July 27. We will hold the team draft the weekend of August 4/5 and the first regular week will start on August 6. The results of the preview week event will determine the draft order. Administering the event will be a team made up of distinguished members from the three clans, Teylas from Plagueis, Xen’Mordin from Scholae, and Alaris from Taldryan. Everyone’s beloved FIST Drac will be representing the Dark Council. I’ll let Teylas go into the full scoring system, but it is one that is heavily weighted towards participation, so if you want your team to do well, you need to do All the Things(tm). All in all, it’s shaping up to be an interesting event which should bring the three units closer together. It’s also worth pointing out to our newer members that events like the Pro Bowl, even more so than others, is a great chance to rack up a lot of activity towards promotions and medals. There will be a large number of rather easy to do competitions in this event, so go out and do them! The Wiki Tribune lays out a new policy as well as a few wiki tips. Reminder, update your wikis to make the RO more interesting. Yes, I’m yelling at myself about this. The Headmaster needs someone to kinda help people learn to write gud. Got two days to apply to this one! Also, that Selika person is also looking for some help over in the wonderful world of art. There’s also a bit of a survey about how the herald’s office can better serve the club. While I’ve done several Q&As where I’ve answered questions myself, I want to bring back something I tried once a while ago that was a twist on this tradition. Instead of fielding questions myself, I’ve decided that I’m going to have Arden field the questions this time. I really don’t know how he gets me to do this stuff, I really don’t have the time. I do have a Clan as well as a personal financial empire to manage. I know Arden, I get it, you’re busy, now humor these people for me. Kelly Asks: How are the books looking? That’s the wonders of having a privately held entity, I never have to share them. And since you brought it up, you need to submit your Budget Requisition forms in triplicate by CoB tomorrow, got it? Ronovi Asks: Have you ever missed a shot? If so, why? Is it really a miss if I never intended to kill them in the first place? Since the answer to that is obviously no, I haven’t missed since I was 12. My first rifle competition, it was on Malastare. Kriffing three eyed Gran are so distracting. Kelly also asks: How do you find having your friendly neighborhood alcoholic badass Ronovi as your Proconsul? It’s actually kind of expensive. Getting Whyren’s shipped to Aliso isn’t cheap you know. Otherwise I'm fine with it. Tra’an asks: What's your good luck charm? I don’t need luck, I have ammo. And money. And the Force. Azmodius asks: What's the longest you've spent waiting for a target to be in position? What’s with all the shooting related questions, sheesh. One would think one of you wants to get shot or something I wait as long as it takes to get the job done, sometimes days. Now, could you move about eighty centimeters to the left for me. Silent asks: Are there any stuffed plush seals in your office? If so how many and which one is your favorite? What’s a seal? 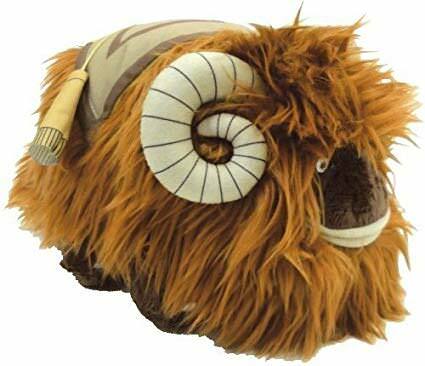 I mean, I have this sweet stuffed bantha. Does that count? Furios Asks: Who are we having a trade war with next? The Collective, duh. They’re really killing us on trade. And other things. They’re killing us, hence, all kinds of war. TuQ asks: Do you prefer a blaster sniper or projectile based sniper. What’s more satisfying to see hit a target? Never could get a handle on slugthrowers. They just feel clunky, even the sophisticated ones. Nothing quite matches the face melting impact of a good blaster shot. 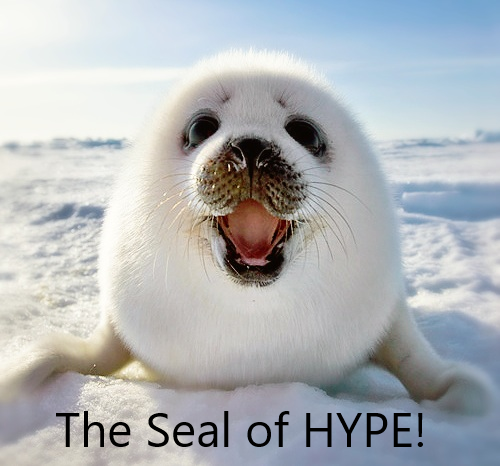 The hype train has officially left the station at about 200 miles and hour!! I identify as an amateur bowler, can I still take part? Take the DB Bowling, LETS GO BOWLING! Go, team "Sounds Like An Angry Cat!" As a two time Pro Bowl champion, good luck, everyone! The Pro Bowl is an amazing event and a great way to bring members from across Houses and other Clans together. At least... I won something twice. I can't remember what exactly, now.